For me Diwali means thrill, joy, happiness. Who can ever forget the childhood days filled with all these mixed emotions. My joy starts even before 100 days from Diwali. Yes, I take the calendar, mark the count down with a pencil in a corner of the daily sheet calendar, and every single day when I tear the calendar sheets, I will get so excited and count my days for Diwali. What made Deepavali so exciting those days and why its not now, I always ask myself. I always feel bad that Aj is missing all those. Even myself. May be its because we were kids and the crackers were one of the main fascination. May be, those times, we don’t get new clothes this often as we are buying every now and then, when ever we feel like. Yes, my dad buys dress only once in a year for Diwali alone. And the Deepavali shopping for clothes will be so so exciting. And they don’t even let us to try the new dress until the Deepavali day. Only after all the poojas get over, we get the new clothes in our hands through the eldest in the home. How can I explain the joy those days! And not to forget the crackers. I still remember the cracker and firework stories in my childhood. Every single thing. We the kids in the street will be having competition, like in front of who’s house there is more cracker papers. We burst crackers and sweep the papers in a corner to show how much we have burst. I love love to burst crackers. Right from oosi pattasu to Laksmi vedi. And the cape – dot cape, which we burst with a hammer, roll cape with the toy g*n. I am not big fan of ‘at*m bom*‘. Its too loud for me, no fun. But after that, he went to job, and though he will keep the suspense until last day whether he is coming or not, I had one more advantage, he will also buy crackers, dress for me. And mainly the salwars, chudidars from B’lore 😉 The whole Diwali day will be full of eating sweets, snacks prepared for Diwali along with Idli, chutney, podi, suzhiyan, adhirasam, vadai. No cooking that day and we used to eat all these and get heart burn ofcourse because of all those oily goodies! Who cared, we totally enjoyed the food and time. We wake up like around 3.00 am and mom will lit lamp in the pooja room, keep sheekai / arappu thool in a bowl, and sesame oil in another bowl. Elder in the house will apply those two in the head for sastra and we take oil bath, come back and wear some other new dress, not the diwali dress and eagerly wait for the pooja to get over. After the pooja is over, we fall on the elders feets and get our dresses and rush to wear the dress. The smell of the new dress, how exciting it will be! 🙂 And not to forget to show off your dress to the friends and neighbors 😉 Now enough of my stories and here is the list of recipes for this Diwali. Preparation and cooking time varies from recipe to recipe. Please check the individual to know. Prep time varies from 12 hrs to 10 mins and cooking from 1 hr to 15 mins. And main ingredients in sweets are milk, khoya, sugar, besan/ kadalai maavu, maida, urad dal, badam, pista, cashew nuts, coconut, rava, jaggery, ghee, oil. For snacks, mainly rice flour, urad dal flour, besan, oil etc; Click on the picture for the respective recipes. I enjoyed reading this, same thoughts here, those days will never come back, feeling nostalgic..
wow..Fabulous collection of diwali sweets and snacks…..
Nice post !! Surely our kids miss all those excitement and fun. Awesome collections Rak's. U rock. What a beautiful collection!!! drool worthy pictures!! very festive!!! Hi what all i experienced in my childhood u mentioned here, my eyes shredded with tears recollecting the memories. raji wht u told is the same of us too .but for me two brothers , they wont give big vedi only othai vedi ,and all the crackers will be given to me..
Wow, after reading your diwali story, I burst into tears….feeling very nostalgic…Wish those days come back again….. I enjoyed your childhood stories, very interesting ! ! 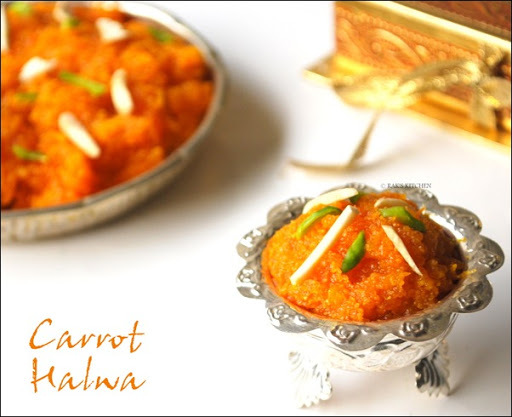 want to try all ur diwali sweets recipes…following you, visit my space if you get time. Lady . . . Hats off . . . Love u for making my life so tasty . .. I really enjoy cooking stealing all ur ideas .. Hehehheeh . . . U r just wonderful . . . My hubby has started appreciating my cooking after 3 yrs of marriage . . Hehhehe . .. God bless u darling ". You can literally open up a sweet shop!! 😀 😀 I mean…….so many sweets!!! Yum Yum! Finished making sweets and savoury. If you give idea for lunch on Diwali it will be nice. Confusing what to make. You can make something light and simple since there will be heavy sweets and snacks 🙂 May be mixed rice variety or simple thogayal, rasam, kootu. Nice Post. Wonderful ideas to make sweet dishes.